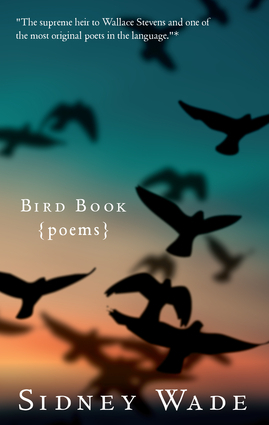 In this stunning collection, the author offers an exquisite array of poems at once sublime and playful, dedicated to the unearthly wonders of winged creatures. The book is a universal song of praise to the mysteries and intricacies of the animal world that surrounds us, and a wide-awake hymn, by a master lyricist, to the delights and surprises of our common language. The brilliantly vivid, elegant verse is sure to delight and inspire general readers, poetry enthusiasts, and avid birders or naturalists alike. Sidney Wade is a Fulbright scholar and translator and a professor emerita at the University of Florida where she taught creative writing and was poetry editor for the UF literary journal Subtropics. She is the author of six poetry volumes and her work has appeared in publications such as The Nation, The New Yorker, and Poetry Magazine. She lives in Gainesville, Florida.